Homemade mac & cheese is healthier than the store bought variety. 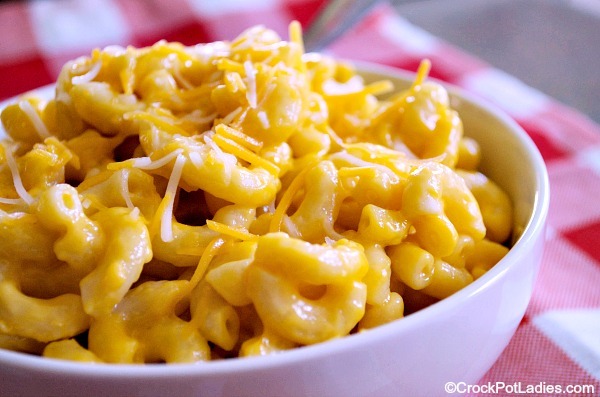 With this recipe for Crock-Pot Macaroni and Cheese you know exactly what is in it! I don’t know a kid who doesn’t like macaroni and cheese and MY kids are no exception to that rule. While in a pinch, a box of store bought mac and cheese will do. But in my humble opinion homemade is always better than anything you are going to find in a pouch of powder. We have tried several homemade macaroni & cheese recipes over the years. Cooked on the stove top, baked in the oven and now this yummy version made in the slow cooker. And I have to say…this recipe, the kids absolutely adore! This recipe makes about 4 servings which I think is perfect if I am making it just for the kids or I am going to serve it as a side dish to go along with a main entree and vegetables. But if you need to make a bigger batch this recipe doubles easily and because the pasta noodles are cooked on the stove-top you do not really need to adjust the cooking time and your elbow macaroni won’t get mushy. 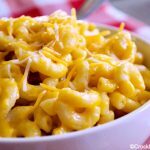 We now make this macaroni & cheese recipe in the slow cooker on a fairly regular basis and love it. Pasta can be a tricky item to cook in the slow cooker and in most recipes we recommend cooking the pasta on the stove-top in boiling water according to the directions on the package. Cook the pasta just until done or slightly under-cooked and then add the pasta to the slow cooker at the end. This ensures pasta that is perfectly cooked and not mushy. 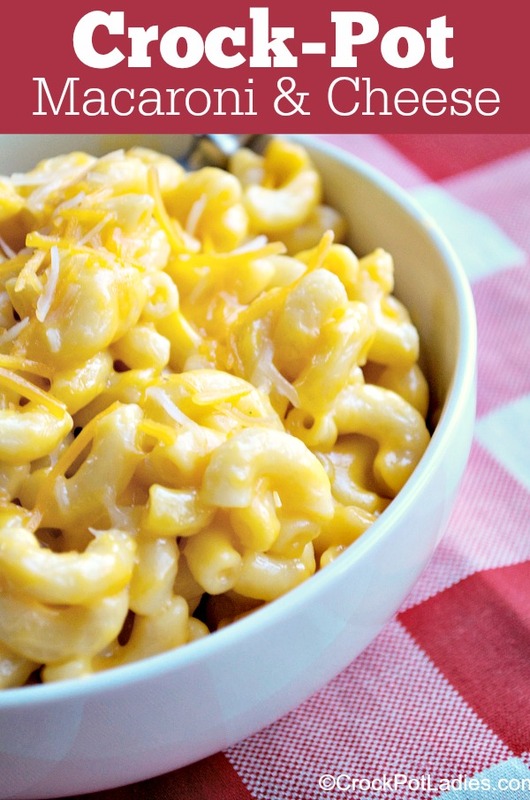 Everyone LOVES this recipe for macaroni and cheese cooked in the slow cooker. It tastes fantastic and the noodles don't get mushy. Freshly ground black pepper, mustard powder and garlic provide a ton of flavor to a classic American mac & cheese! In a pot on the stove top follow the directions on the package of macaroni noodles and cook until the noodles are slightly under cooked. Drain. 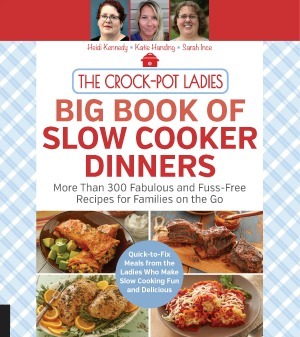 Spray a 4 quart slow cooker with non-stick cooking spray or line with a slow cooker liner to prevent sticking. Add the cheddar cheese, milk, cheddar cheese soup, sour cream, butter, garlic, ground mustard, salt and pepper to the slow cooker and mix everything together well. Add the drained pasta to the slow cooker and stir to coat all the pasta in the cheese sauce. Cover and cook on LOW for 2 to 2.5 hours, stirring occasionally. Top with additional shredded cheese before serving if desired and enjoy! This recipe serves 4. You can easily double the ingredients and cook it in a 6 quart slow cooker for 3 to 3.5 hours on LOW.